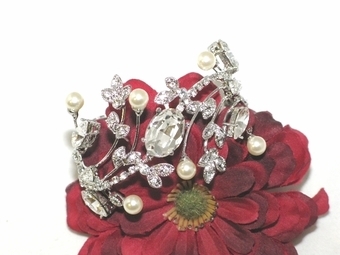 Jenna - Couture vine cuff Crystal pearl bridal bracelet - SALE!! 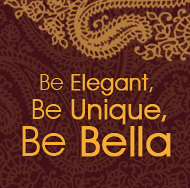 HOME / BRIDAL JEWELRY / Wedding Bracelets / Jenna - Couture vine cuff Crystal pearl bridal bracelet - SALE!! 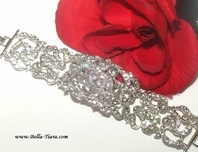 Description: Jenna - Couture vine Crystal bridal bracelet. bold cuff style, austrian crystals and pearls.